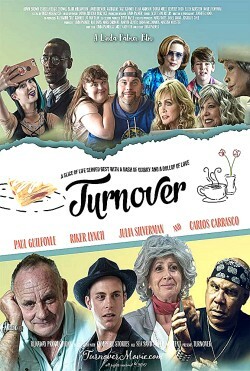 Your new movie Turnover - in a few words, what is it about? When caf� owner Peter leaves his disgruntled manager Henry, to take care of business, Henry instead hires a crew of misfits, including his replacement. Peter returns to an unrecognizable business but soon learns the value of camaraderie and bonds with the new team. Only through their help is he able to save his business, his life, and find love. Very basic question, why did you set the movie in a restaurant? I grew up around restaurants with a mom that was a bartender and waitress, and it seemed like a good setting for the story I had in mind. Do you at all see yourself in Turnover's central character Peter and his journey? Or in any of the other characters for that matter? I personally identify more with Pepper and William... maybe even a little Gladys. (Other) sources of inspiration when writing Turnover? It started out being a study of why older people are attracted to younger people's energy (the Peter/Henry relationship), but when I developed it further, I love underdog stories and fell in love with the 'misfits'. Do talk about your co-writer Laree' D. Griffith, and what was your collaboration like? 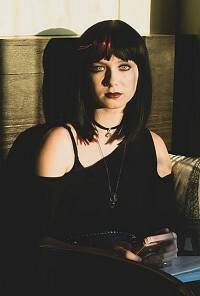 I wrote the original script, and when we started getting ready to produce, we wanted to amp up the characters a bit, create more tension, and build more of the lesser characters out to attract bigger names, so I brought Laree' on board because we worked together on another project I wrote/directed/produced called Halloween Party, and we had a great working relationship. She's also a very talented writer I met through ScreenwritingU. Despite all the drama going on, Turnover is at times also highly comical - so what can you tell us about your film's brand of humour? It is tough to put it in a genre. You would think it's a drama, but like you said, the real humor that comes out of natural situations is ever present. 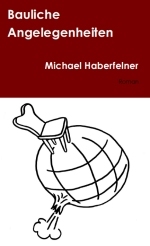 I think it's really more of a dramedy and the humor is very situational. When I write something I'm going to direct, I generally take off the writer hat and let my co-writers handle anything needed on set or just for background info for actors. I tend to shoot 2-3 takes only per angle but we move fast and get a lot of footage. I really take input from both my DP (Jen Hook) and editor (Scottie Simerly jr) before and during filming. I also like to let the actors improv a bit since they spend so much time developing their characters. I feel like they probably have a much stronger voice for the character than we probably wrote. Once we're finished I let Scottie give me his editor cut and then I give him notes from there to begin shaping what I think the film is in my mind. I've worked with the same team for several years so there is definitely a shorthand we all have that really works. What can you tell us about Turnover's key cast, and why exactly these people? We are very lucky to have this cast. They all are exactly what I thought the character would be. I've known and worked with Julia Silverman the longest and always saw her in the role, but we did have an actress with more of a name that ultimately ended up not working out, so I got my pick of having Julia in the role. She really is the perfect 'Gladys' and is such a pro. Carlos Carrasco in the 'Miguel' role was another amazing result of not getting an actor I originally thought of. 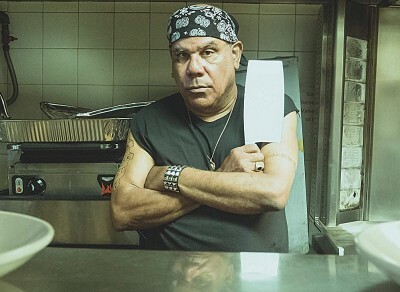 I had written the role with Danny Trejo in mind, but Carlos adds a much deeper level to the character and is so lovable, especially when he smiles. I really couldn't have had a better actor in that role. 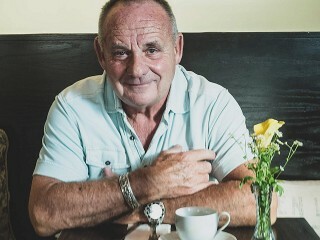 When Paul Guilfoyle was submitted to us and we met him, our whole producing team knew he was the right actor for Peter. Fortunately for all of us, he loved the role, and actually brought a much softer, more likable 'Peter' than what was written. A funny thing that happened with 'William' is I had just gone on the internet and searched awkward, gangly African American teen actors and Adwin Brown's photo came up. I didn't know his name, but then when we got submissions, his photo was in there. It was a sign! We were just praying his audition would be great and he killed it and the role! Another interesting thing involved Blair Williamson in the 'Charlie' role. I was introduced to him and his mom, Gail Williamson who is an agent for actors with disabilities. They were the first to go over the script and sort of put the dialogue of 'Charlie' the way that Blair spoke. 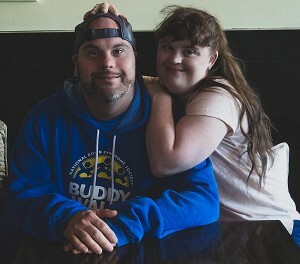 Eventually as we began casting, Blair recommended his friend Jamie Brewer (American Horror Story) for the role of Gina. There was only two lines for Gina in the script during the reading, but Jamie was such a breath of fresh air and really captured all of our hearts, so we sort of split the lines between 'Gina' and 'Charlie' and gave her a bigger role in the film. You of course also have to talk about the restaurant Turnover was actually shot at, and what was it like filming there? That was amazing! My husband found it when he was walking near our house and it's a second 'take out' location for a very busy Mediterranean restaurant called Open Sesame in Long Beach. I had written there would be that competitor restaurant down the street, so it was awesome! Anyway, they rent out their corner location for events so we rented it for two weeks, and the first week shot the Creperie Cape and on the weekend changed it to the Eclectic Cafe and shot the following week for those scenes. Honestly, that location raises the production value of the movie so much! It's incredible. I can't imagine what the movie would be like without it. The shoot was a lot of fun. There's always some times of stress but overall everyone had a great time together. We live nearby so our house was the base camp and we all walked to set. We also had three different production periods. The first was in August for 11 days for the cafe scenes. Then in November we shot for 5 days in a studio for the breakroom, Peter's office, the hospital sets and we spent a day in Long Beach for the sailing and bar scenes which we shot at Panxa in Long Beach. Then in January, we all felt we needed the 'Wela' scene where Miguel is taking care of his grandma and we shot the opening of the movie, making the turnover, so that was an additional day. The $64-question of course, where can Turnover be seen? Right now in festivals. We have a screening at the Manhattan Film Festival 5/3/19 and also the same day, it is playing at the first annual Palm Springs International Down Syndrom Festival. We'll have producers and talent at both sceenings. We are hoping to be in more festivals through October and then a mini theatrical in November, and hopefully in 2020 on VOD. Anything you can tell us about audience and critical reception of Turnover yet? Of course! Well, I'm a huge advocate of anti-poaching, banning trophy hunting etc. We have a franchise of films, a TV series, video games and more under the names of Cat Dexx, Wild CAT and Cat Dexx: Inkosi. 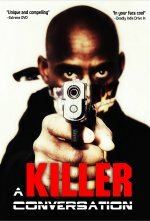 The story is about a female Rambo hunting poachers in Africa 'Tarantino' style! We have over 111k Facebook friends and 4500 Twitter followers so my big push is marketing and selling that and Turnover this year. I also have two other short films that will be coming out this year. Intervention, which focuses on a mother/daughter story dealing with the opioid crisis, and Nakusa, which is a musical-logue set to Rachmaninoff's Prelude in D Major Opus 23. It's one of a series the creator, Jennifer Kramer, is doing and I'm mentor producing/directing with her. She's a classically trained actor and pianist that is bringing classical music into the modern world with these musical-logues. 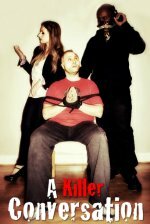 All of my work can be found at my website: RunawayProductions.tv and more info about Turnover and where to see it can be found at TurnoverMovie.com. I'm all good. Thank you so much for the review and interview!